After several years of hefty increases, homeowners can give thanks for a smaller increase in their homeowner’s insurance premiums in 2004. According to some estimates, the average policy increased less than 4 percent. But with big bills to pay for the four hurricanes that swept through Florida earlier this year, as well as other natural disasters, premiums may rise swiftly again next year. What can you do to keep your insurance costs steady or perhaps even lower them? There are a few ways you can cut down on your costs. If you move or refinance, you might be tempted to poke around and see what else is out there. 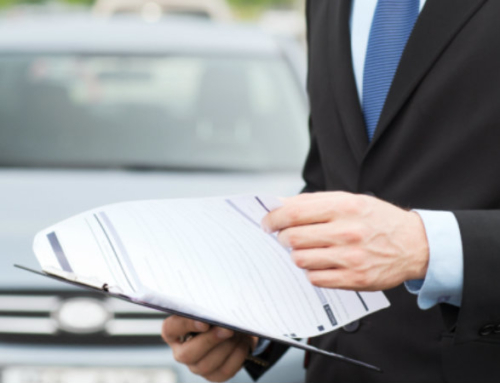 If you’ve got a good claims history, you should find a handful of options. Shop around. Once you have insurance, you’ll be tempted to stay the course unless something happens, but you may be able to lower your premiums simply by shopping around. If you can’t lower them, at least you’ll feel good knowing you got the best deal. Direct writers of homeowners insurance include American Express (800-535-2001), Amica (800-242-6422), GEICO (for auto, home or boat insurance, 800-841-3000) and USAA (for members of the military and their families, 800-531-8100). They do their selling over the phone and if you qualify, you’ll save, big time, on the commissions. Even with a great policy, you might be able to drop your premium further with one of the ideas given here. Raise your deductible. Some insurance companies will drop you if you make more than two claims in a year. Make sure your insurance covers you for the catastrophes and plan on picking up the cost of the everyday expenses. Raising your deductible from $250 to $500 might enable you to shave 12 percent off your premiums. Raise your deductible to $1,000 and your savings may double. Tout your improvements. If you’ve put on a new roof, and it’s made of a flame-repellent material, you might’ve earned yourself a discount. A new plumbing system, new wiring, or a new heating system might also qualify. Get connected. A home security system might qualify for a small discount of 3 to 5 percent. But connect it to the local police and fire station, and you might lower your premium by up to 15 percent annually. If you put in a fire sprinkler system, in addition to smoke and fire detectors, you might get a larger discount. Grow old. If you’re over the age of 55, you can probably get a discount. Educate thyself. Your insurance company may offer an education program or brochures that will allow you to lower your premium once you’ve attended or read the material. Buy your home and auto policy from the same insurer. Some companies that sell homeowners, auto, and liability coverage will take 5 to 15 percent off your premium if you buy two or more policies from them. Insure your home, not the land it sits on. If a tree falls in your backyard, chances are it won’t hurt anything except the grass. So, don’t include the value of your land when figuring out how much homeowners insurance you need. Stop smoking. The Insurance Information Institute says smoking accounts for more than 23,000 residential fires a year. Quit. Not only will you save on your homeowners insurance, but you’ll probably save a bundle on health insurance (and health-related costs, not to mention the cost of the tobacco products you won’t have to buy over your lifetime). Ask about group coverage Professional, non-profit, and alumni organizations often offer discounts for association members for various sorts of insurance policies, including auto, health, and life insurance in addition to homeowner’s policies. Stick around. If you’ve kept your coverage with the same insurer for years, you should ask for special consideration. Some companies will give discounts of up to 6 percent if you’ve been a policyholder for six years or more. Look around. Your home is an appreciating asset, some items in your home are depreciating as the years go by. If you’ve purchased special riders for certain items, you may be able to reduce your coverage if they’ve lost their value. If you’ve sold items covered by riders, inform your insurance company so they can remove the rider from your policy. If all else fails, move. According to a study by the nonprofit Insurance Research Council, it costs insurers 42 percent more to cover losses in the city than it does to settle claims for those who live five miles outside the city limits. City dwellers may be paying double the amount that nearby suburbanites pay for their insurance. But before you put your home up for sale, consider this: The cost of the 6 percent sales commission you’ll likely pay to sell your home would more than make up the difference in city-vs.-suburb insurance premiums for a long, long time. The Insurance Information Institute publishes a small book called “How to Get Your Money’s Worth in Auto and Home Insurance,” which describes the process of buying the proper insurance coverage. Contact them online at iii.org.